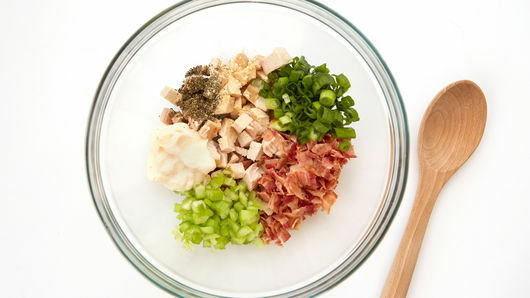 In medium bowl, mix chicken, bacon, celery, onions, basil, garlic powder and mayonnaise. 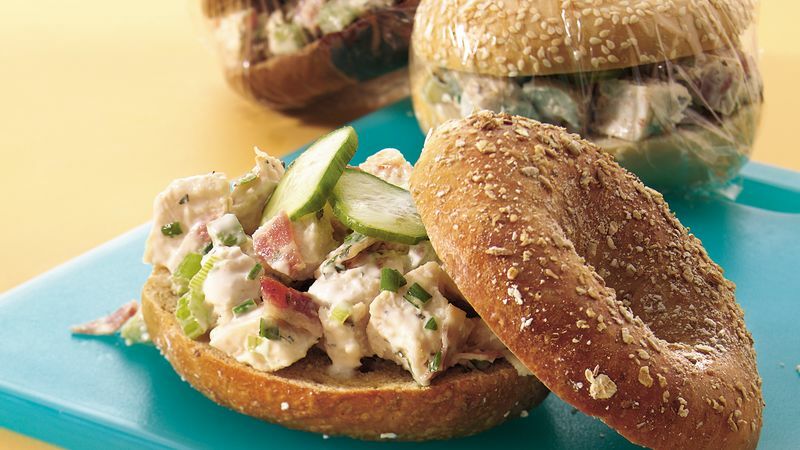 Spread chicken mixture on bottom halves of bagels. Top with cucumber slices. Cover with top halves of bagels. Serve immediately, or wrap each sandwich in plastic wrap and refrigerate up to 24 hours. 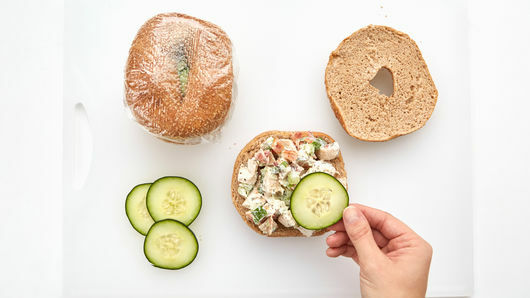 Because these sandwiches are made on firm bagels, they are perfect to wrap and store in the refrigerator for up to 24 hours. Then, when family members need a quick sandwich, there's one ready to grab and go!